Black Series Thunder Tumbler Remote-Controlled Cars Just $14.99 (Reg. $40)! 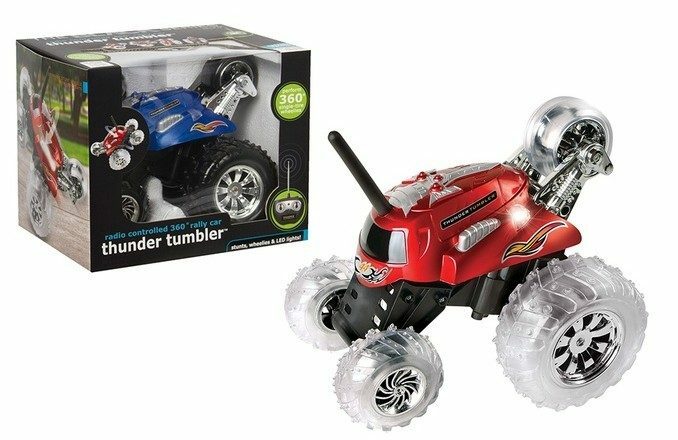 You are here: Home / Great Deals / Black Series Thunder Tumbler Remote-Controlled Cars Just $14.99 (Reg. $40)! WOW! Right now you can snag this super fun (and highly-rated) Black Series Thunder Tumbler Remote-Controlled Cars for Just $14.99 (Reg. $40)! Choose from red, blue or black. Shipping is FREE on orders of $24.99 or more, so head on over to the Clearance Section to fill up your cart with even more fab deals!